Summer is here and so is the raining, humid, hot, crazy weather, which leads to messy looking hair so distract them from your hair to your luscious lips with the new Hard Candy Plumping Volumizing Serum Lip Gloss. 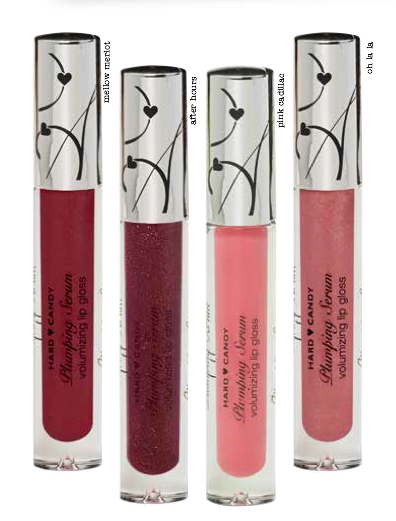 Obtain fuller looking lips with Hard Candy’s NEW Plumping Volumizing Serum Lip Gloss. This shiny and hydrating formula is easy to apply and will have lips looking luscious in seconds! Hard Candy Plumping Serum, $6 An outrageously shiny, volumizing and hydrating lip gloss Formulated to deliver plumping hyaluronic filling spheres to the skin to quickly minimize the appearance of fine lines Fruit extracts add hydrating volume Available in a range of sheer and full color shades (12 shades to be exact) The Hard Candy Plumping Volumizing Serum Lip Gloss is available at Walmart and Walmart.com.